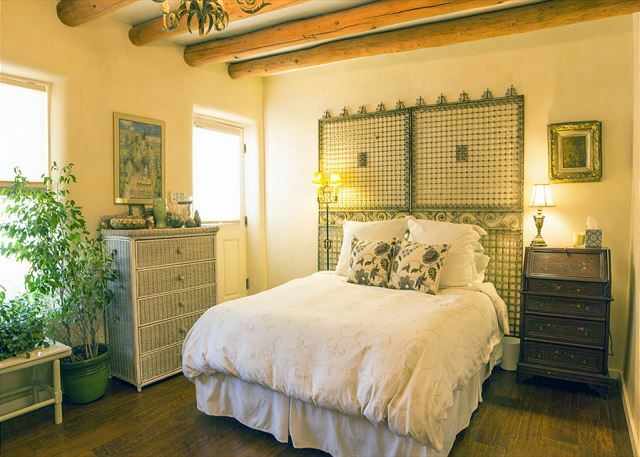 Casa Cubero is a fully restored 100 Year Old Adobe presented with the "Excellence in Remodeling" award from the Santa Fe Home Builders Association in 2012. 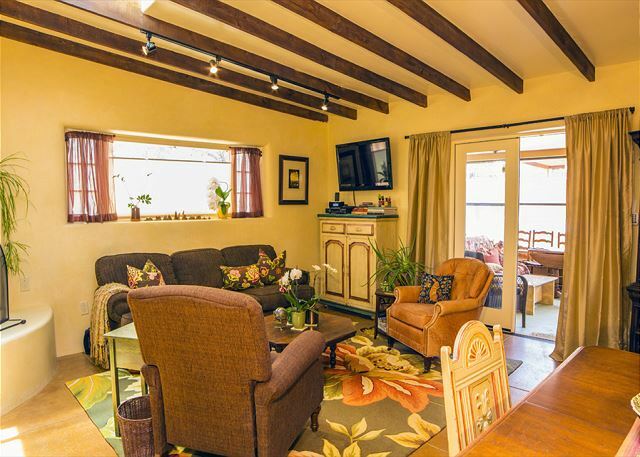 The King size one bedroom, one bath home has all the charm of old Santa Fe with modern updates. 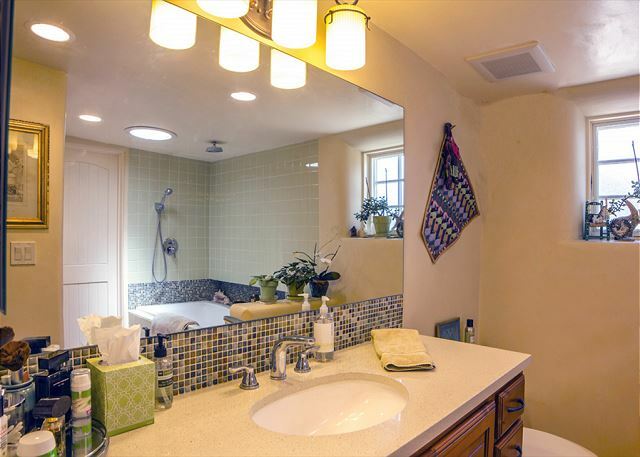 Stained concrete, radiant heat floors, skylights, and a new kitchen and bath make for comfortable living. 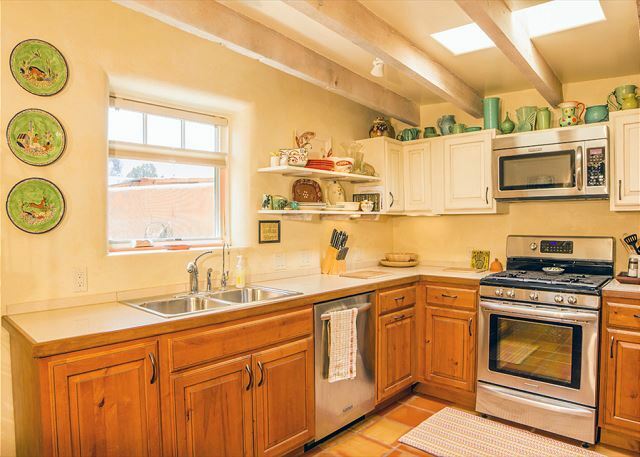 The kitchen has quartz countertops and stainless steel appliances. 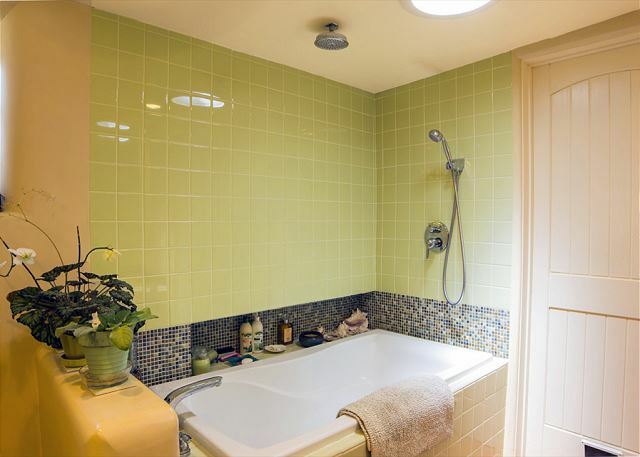 The bathroom features a wonderful soaking tub with shower. 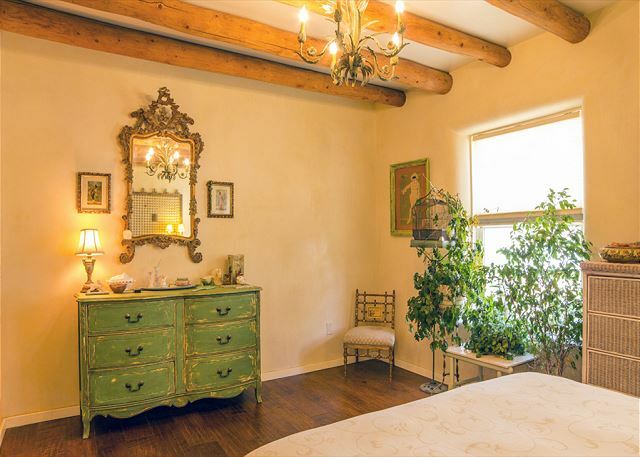 Wood floors in the master bedroom compliment the plaster walls. 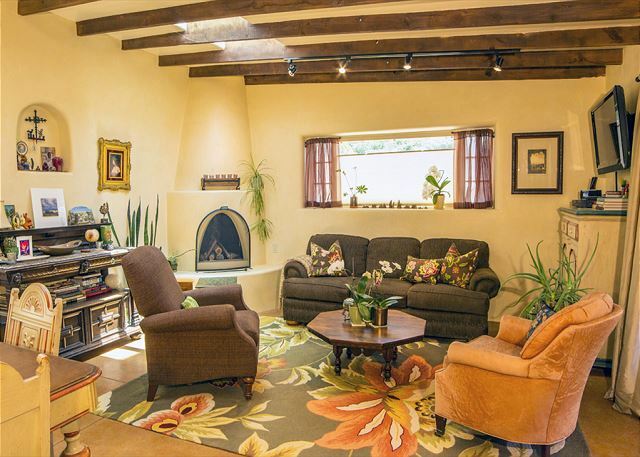 The nichos, vigas, Saltillo tile, hand plastered walls, and Kiva wood burning fireplace give the home the old feel we love in Santa Fe. 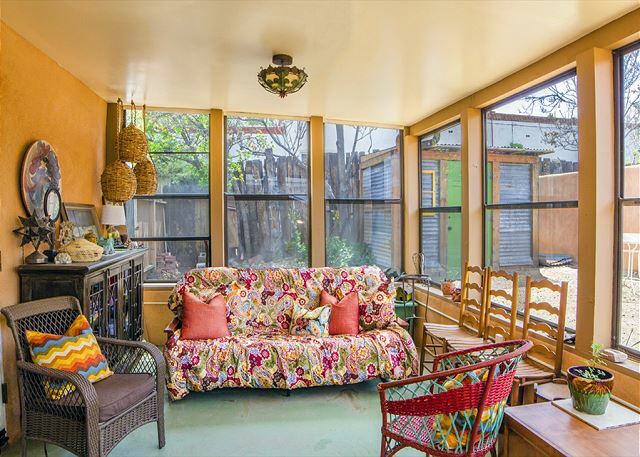 Enjoy the wonderful glassed in porch, which looks onto the lovely walled-in-garden. 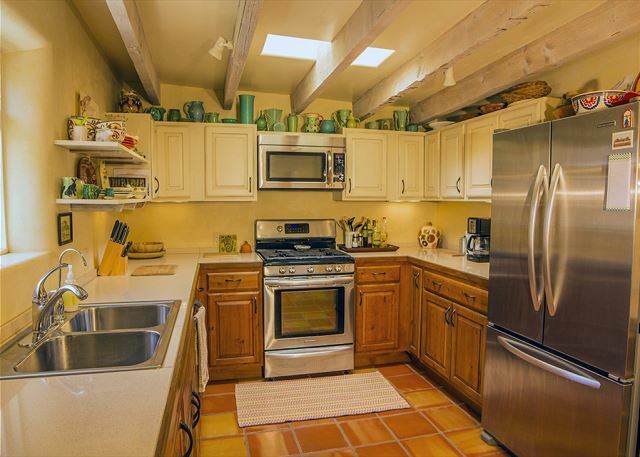 Cabinet storage and an outside door accommodate the laundry room with a full-size stack washer/dryer. Designated off-street parking for one vehicle and additional parking elsewhere for your guests. 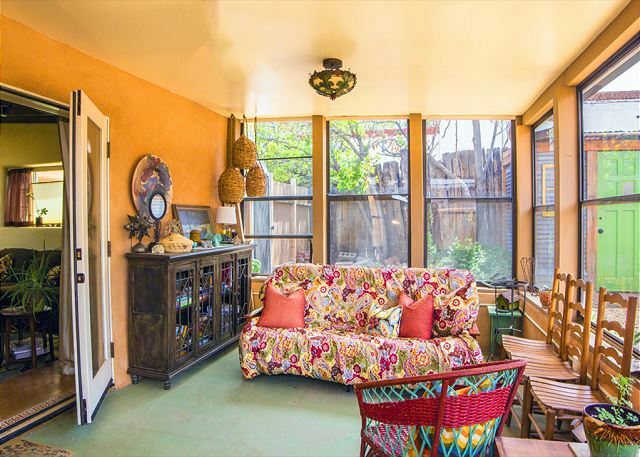 Located kitty corner to the Historic Railyard District including the Farmer's Market, restaurants, Santa Fe's newest movie theatre, and art galleries all close by. Whole Foods is a one-half block away with Trader Joe's a five-minute walk. 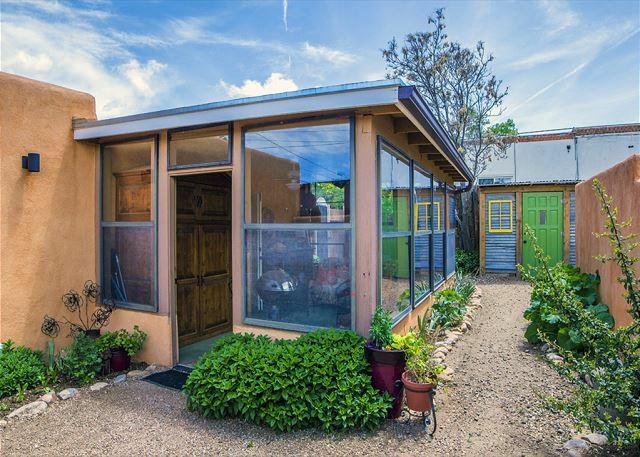 The Historic Santa Fe Plaza is a short walk with museums, shopping, and restaurants. Cable television and wireless internet. 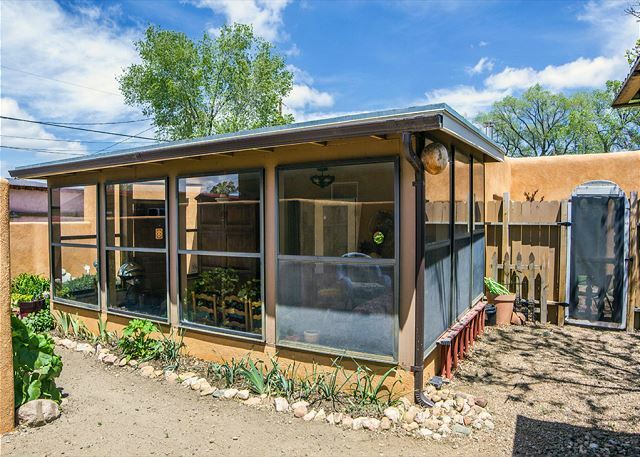 Approximately 1300 square feet.